In the above instance, the Title, 'Test,' and the text below, 'One', which are both above the line, will show on your homepage. You can also add an image to accompany the Title text that will post to your homepage. 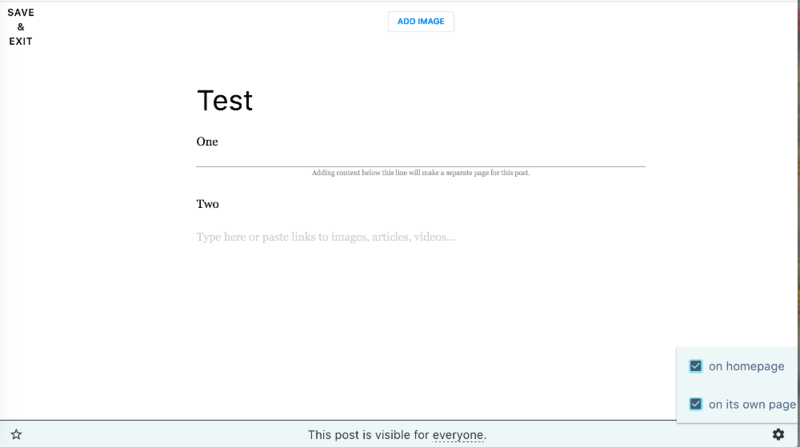 When your visitor click the title or the image, your content that's entered below the line will load for the visitor to see.